According to The National Hurricane Center, Tropical Storm Hermine has "barely maintained its tropical storm status on Tuesday as 40 mile per hour winds kept lashing south Texas and the storm moved further inland about 15 miles south-southeast of San Antonio, Texas." Does this sound a little contemptuous of The National Hurricane Center? I have been outside today. This is no struggle to maintain. or life completely halts (drivers stopping in the road; inability [or refusal] to get to work or school; the fact that I've talked about the weather so much that I'm blogging about it). The roads are incredibly slick, terribly potholed, and lack proper drainage. 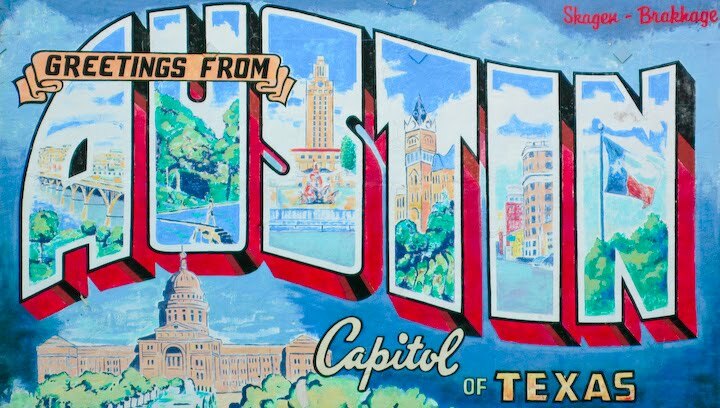 It doesn't help that Austin drivers have been ranked as some of the worst in the US. 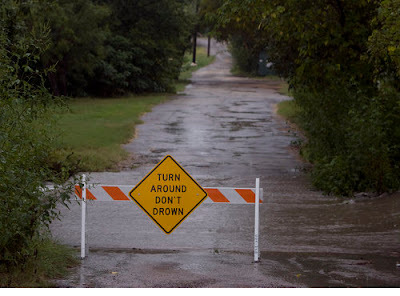 The rolling hills that the area is famous for facilitate flash floods all over town, and streets act as gutters gone awry, pooling water into low lying areas - my front yard is under about 2 inches so far. 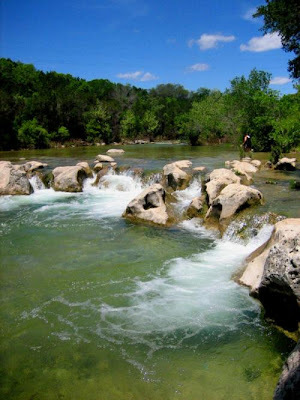 On a positive note, the rain will revitalize The Greenbelt, Austin's 1000 acre natural park, and swimming holes and waterfalls will be full for the weekend. 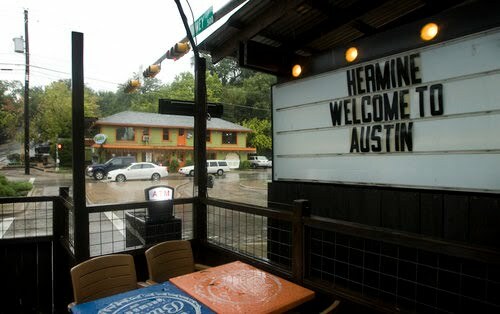 And when the sun comes back out, Austin will go swimming. Possibly in my front yard.